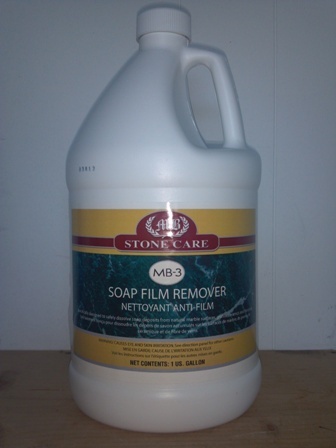 When cleaning marble showers you need the help of a good soap scum remover that will be tough on soap scum build-up, but safe for your marble, limestone or travertine surface. 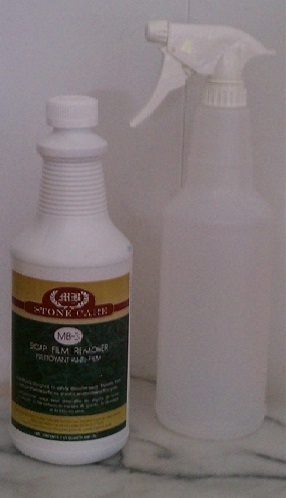 There are a lot of soap film removers available, but not all are safe for calcium based natural stone surfaces. 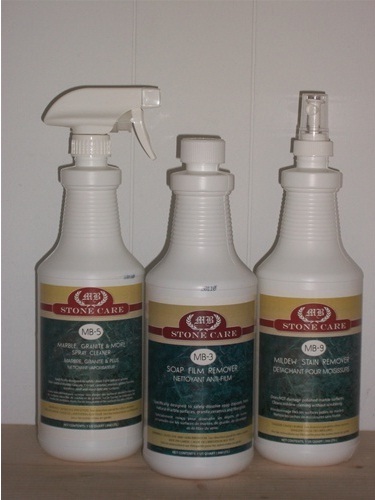 Calcium based stones are marble, limestone and travertine, so if you have a shower that is one of these surfaces, be careful what you clean them with. We see a lot of natural stone showers where the finish has been etched by products that are acidic and react with the calcium in the stone. Look carefully at the photo to the right. The house cleaning company used a cleaning product that etched the marble surface the instant the product was sprayed on the surface of the marble. 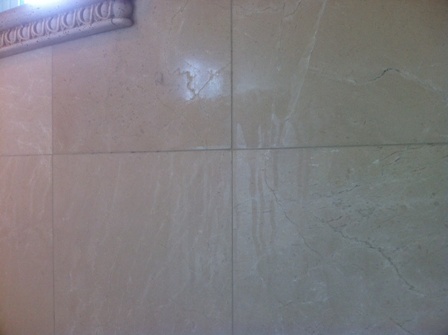 The drip marks you see are from the product they used and can only be removed by removing a layer marble, which is part of the marble restoration process. We see this over and over, whether it was your house cleaners who did it or your did it yourself, the marble needs to be re-surfaced, which is not cheap to do. Don't let this happen to your marble walls. 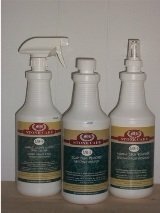 It's probably best that you provide the products for your house cleaners. 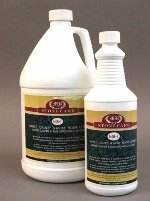 For natural stone surfaces or even ceramic and porcelain surfaces, you need a safe, non-acidic cleaner that will dissolve that nasty soap scum from your shower walls, floors and glass enclosures. 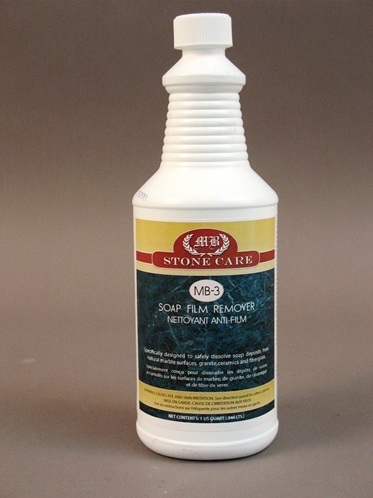 The best soap film/scum remover we've found and use when we clean all showers is MB-3. 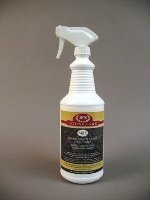 This concentrated, safe, non-acidic formula, helps dissolve soap scum, mineral deposits and hard water deposits on all natural stone, ceramic and porcelain surfaces.